SEC established as a Saudi joint stock company with a paid-up capital of SR 33,758,632,650 (Thirty three billion seven hundred fifty eight million six hundred thirty two thousand six hundred and fifty Saudi Riyals). This amount was divided into 675,172,653 shares (Six hundred seventy five million, one hundred seventy two thousand six hundred and fifty three shares). This was achieved by virtue of the Cabinet Order No. 169 Dated 11/08/1419H. 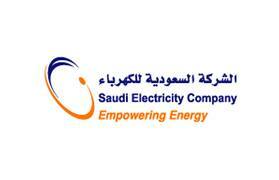 which stipulated the merger of all Saudi electricity companies in the Central, Eastern, Western and Southern Regions in addition to the ten small companies operating in the north of the Kingdom as well as all other electricity operations managed by The General Electricity Corporation, into a single joint stock company which is now known as Saudi Electricity Company.